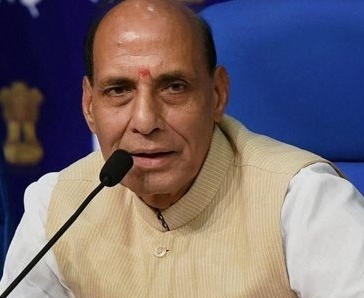 Manesar (Haryana), Oct 16 : Referring to the recent attack on a Manipuri youth in Bangalore, Union Home Minister Rajnath Singh on Thursday said that Prime Minister Narendra Modi-led government at the Centre would not tolerate racism against anyone. 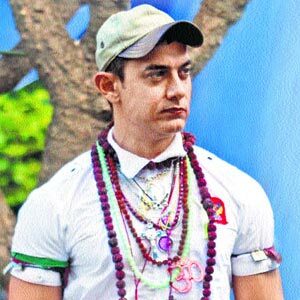 "There is no place for giving permission to anyone to discriminate against anyone based on the basis of caste, region, creed or sect," he told the media here. The Home Minister further said that he will talk to Karnataka Chief Minister Siddaramaiah to ensure that an effective action is taken in this regard. 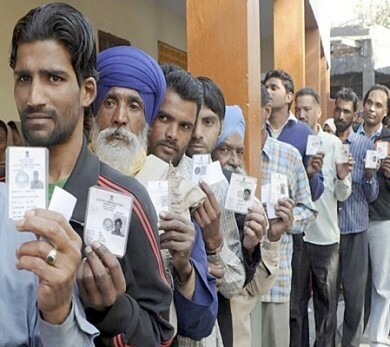 Chandigarh: Voting commenced at 7 am on Wednesday amid tight security arrangements on all the 90 Assembly seats of Haryana where 1,351 candidates, including the kin of the three famous 'Lals', are battling it out in high- stakes multi-cornered contest. The polling began at 7 am and will conclude at 6 pm. The counting of votes will take place on October 19, election officials said. Over 1.63 crore voters, including 87.37 lakh women, 88,662 service voters and 12 NRI voters, are expected to decide the fate of 1,351 candidates, including 116 women, a figure revised by the election officials last night from earlier 109. 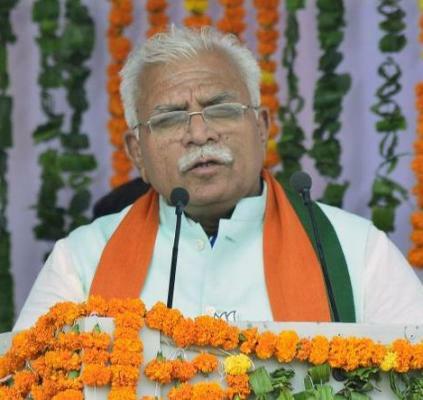 Gurgaon, Oct 11 : Describing Gurgaon as 'Mini India' Prime Minister Narendra Modi on Saturday asked the people to vote for the BJP and shun those families that have monopolised power in Haryana. Addressing an election rally here, Prime Minister Modi asked the electorate to teach those families a lesson by using their finger comparing its power with that of mythical Hindu god Lord Krishna's 'Sudarshan Chakra'. Faridabad, Oct 6 : Prime Minister Narendra Modi on Monday said power in Haryana is concentrated in the hands of five families who are looting the people of the state. "There is no democracy, but a dynastic rule in Haryana. Here power is concentrated in the hands of five families who are looting the people. We must save Haryana from this," said Prime Minister Modi. "The Congress couldn't even reach 50 seats in recent Lok Sabha polls. The resentment of people towards them has become very evident today. They wouldn't even be able to reach double digit this time and it is due to their own sins," he added. 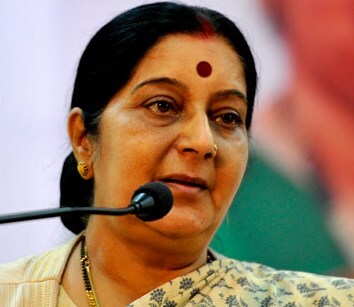 Kalka (Haryana), Oct 4 : External Affairs Minister Sushma Swaraj promised a slew of measures for the development of Haryana, including increasing old age pensions and building sports stadiums, in a rally here on Saturday. "There has been a rule of arrogance and loot for the past 20 years in Haryana, but we promise that the kind of rule the BJP has envisaged, we will give you a humble rule. We will develop the state and work for the poor. That's why we have kept a big agenda in front of the people of Haryana," said Swaraj, addressing the rally just a day after returning from the United States. Chandigarh, May 19 : Beating the record of recent years, Punjab and Haryana have procured over 180 lakh tonnes of wheat this season, officials said here Monday. "Punjab state has successfully achieved the wheat procurement target of 115 lakh tonnes on May 18 despite inclement weather conditions and untimely rains," a spokesman of the food and supplies department in Punjab said. Farmers have been paid over Rs. 14,378 crore for the wheat procured. Chandigarh, May 8 : Signalling a bumper crop this year, Punjab and Haryana have seen arrival of over 170 lakh tonnes of wheat, food and supplies officials from both states said Thursday. In Punjab, government agencies and private millers have procured over 107.20 lakh tonnes of wheat till Wednesday. Of this, 97.7 percent has been procured by government agencies alone, said a spokesman of the Punjab food and supplies department. Sangrur district in Punjab was leading in procurement, followed by Ludhiana and Patiala districts. C handigarh, May 1 : Nearly 56 lakh tonnes of wheat has arrived in grain markets across Haryana, officials said here Thursday. Out of the total arrivals, government agencies have procured over 55.57 lakh tonnes of wheat. A spokesman of the food and supplies department said the districts leading in wheat arrivals were Sirsa, Karnal and Jind. He said the farmers have been asked to bring dry and properly cleaned wheat to the grain markets so that they do not face difficulty in selling their produce. Badli (Haryana), Mar 28 : Aam Aadmi Party (AAP) chief, Arvind Kejriwal, on Friday took a jibe at Bharatiya Janata Party (BJP) prime ministerial candidate Narendra Modi, challenging him to contest the electoral battle from Varanasi only, during his road show in Haryana. Kejriwal kickstarted his road show in Haryana's Badli area to garner voters' support ahead of the elections. Slamming Modi, Kejriwal said there was no Modi wave and if he had the power he should have contested elections from one seat, that is, temple town of Varanasi. Gurgaon, March 8 : BJP leader Subramanian Swamy Saturday described AAP leader Arvind Kejriwal's tour of Gujarat as a "sponsored drama" of the Congress. Swamy, who merged his Janata Party with the BJP some seven months ago, was the chief guest at a meeting here of traders organised by the Bharatiya Janata Party. "AAP failed to provide details of their foreign funding to the home ministry. Kejriwal and his team have been busy in Gujarat to escape action by the central government," he said. Rohtak, (Haryana), Feb 28 : Delhi Metropolitan Magistrate Gomati Manocha on Friday asked former chief minister Arvind Kejriwal to appear before her court on April 7 to clear his name in connection with a criminal defamation complaint filed against him by Bharatiya Janata Party (BJP) leader Nitin Gadkari. It may be recalled that Kejriwal had included Gadkari's name in Aam Aadmi Party's (AAP's) list of "India's Most Corrupt". Gadkari complained that Kejriwal had maligned his reputation. Gurgaon, Feb 21 : High-end technology services firm Nagarro Inc. has earned a second Microsoft gold competency, attaining certification in Collaboration and Content in addition to Application Development. The firm, specializes in strategic software and IT projects, has earned the certification for demonstrating a "best-in-class" ability and commitment to meet Microsoft Corp. customers' evolving needs. Gurgaon, Nov 11 : Foreign ministers of Asia-Europe Meeting (ASEM) countries began their two-day conclave here Monday in one of the biggest diplomatic gatherings this year in India. Foreign ministers of 36 Asian and European countries, deputy foreign ministers of 12 countries and two vice ministers are participating in ASEM - a gathering of 49 countries and two international organisations - the European Commission and the ASEAN Secretariat.